Bookmark anything that matters to you. Is there a better alternative to TilOr Desk? 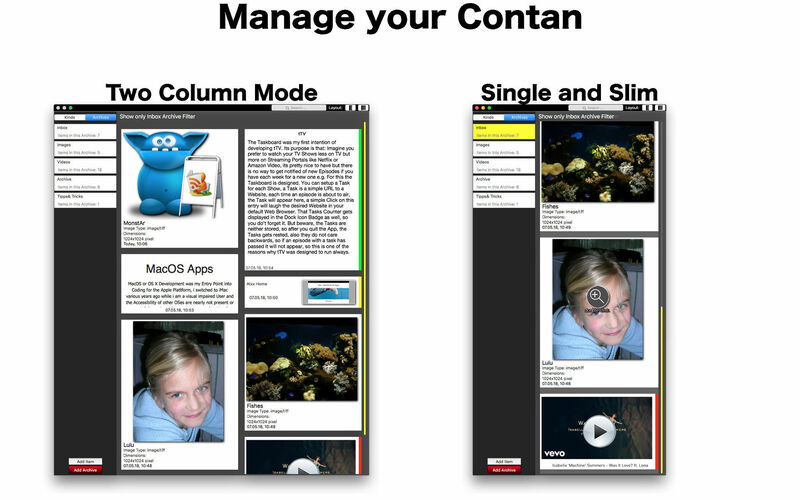 Is TilOr Desk really the best app in File Management category? Will TilOr Desk work good on macOS 10.13.4? 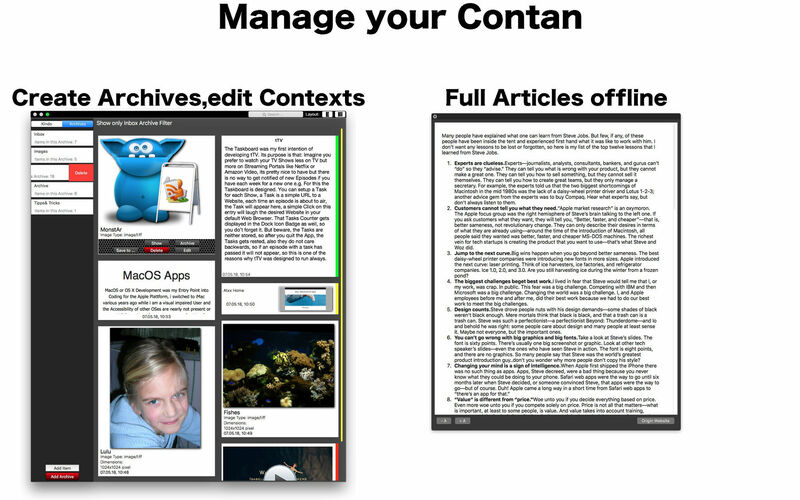 TilOr Desk is the macOS equivalent of TilOr on iOS devices to store, organise, and quickly access the media and Web content you either want to remember or revisit frequently. The Internet is awesome, but it's all very short-lived for various content: articles go into archives and out of sight, images become unreachable, or you stored something but cannot remember where or what it was. A visual help would be great, and that's what TilOr Desk is. TilOr Desk needs a review. Be the first to review this app and get the discussion started! TilOr Desk needs a rating. Be the first to rate this app and get the discussion started! TilOrDesk provides very easy way to save items from anywhere on your machine. 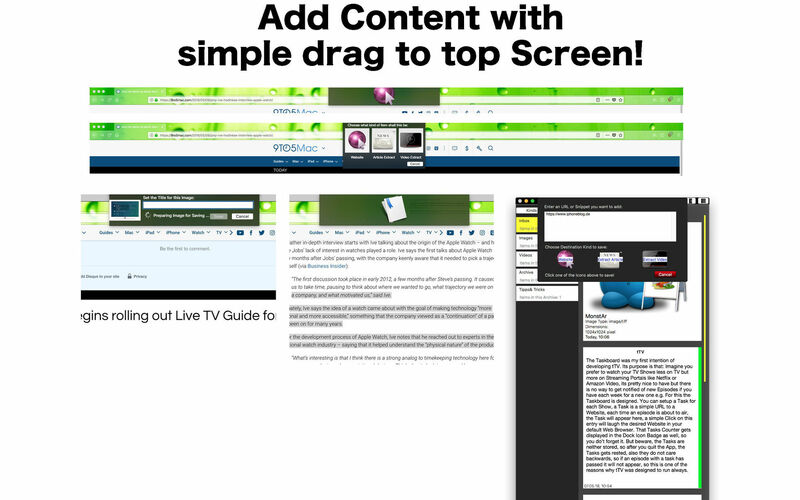 It provides a drop area sitting silently at the top edge of your screen; you simply drag something against the top of your screen and TilOrDesk will proceed. Once done, one click more to confirm or specify your desired action and it’s done! Added items are in your inbox, you can leave them there if you want to evaluate this content later, or click on it to show or in best case archive it into an archive you already created to store it for later. 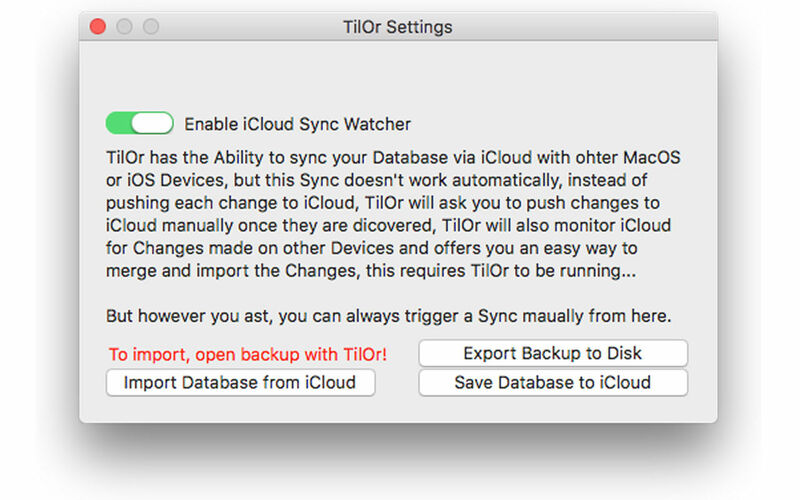 TilOr Desk can sync across all iCloud connected devices. You can add, filter, search, and group items into archives for easy structuring. To prevent images become unavailable once you want to review them, TilOr Desk makes a hard copy of it to keep as long you desire.